The 5-a-day stats are fully functional once again. All that is required to participate in 5-a-day is to join the team and ensure that your e-mail address is visible to other Launchpad users. Well that and working on some bugs! 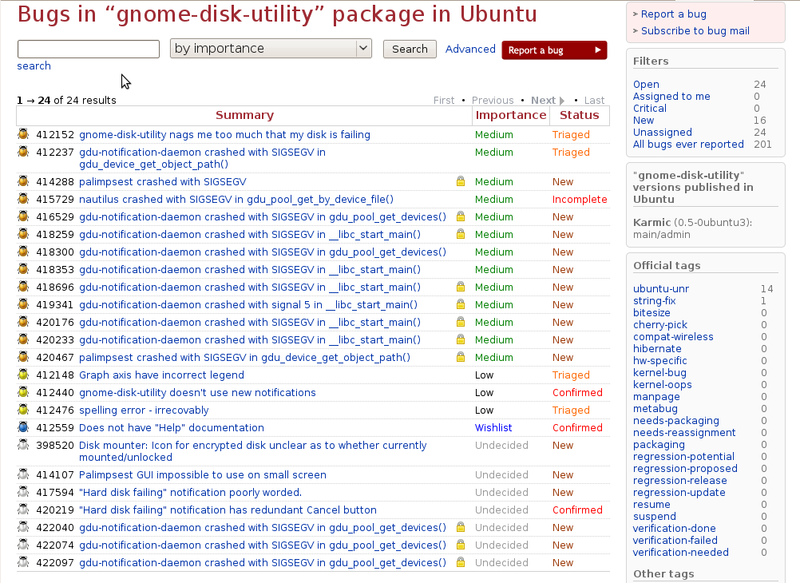 Bug work is attributed to people via e-mails to the ubuntu-bugs mailing list and the report is updated every four hours. There are currently three categories of stats: Bug Jam, Daily and Weekly. Bug Jam Stats displays the greatest quantities of bugs hugged during an event – like the upcoming Ubuntu Global Jam! Daily stats shows who has been doing their 5-a-day for the greatest number of days in a row and who is currently on a streak. Weekly stats is similar but keeps track of people doing their 5-a-day for 5 out of 7 days in a row. So the weekend can be your “cheat” days! Of course the source code is available, in case you have any ideas about other interesting stats we could track. As always, if you think there is a bug please file it. Perhaps somebody has already posted this before and I missed it! 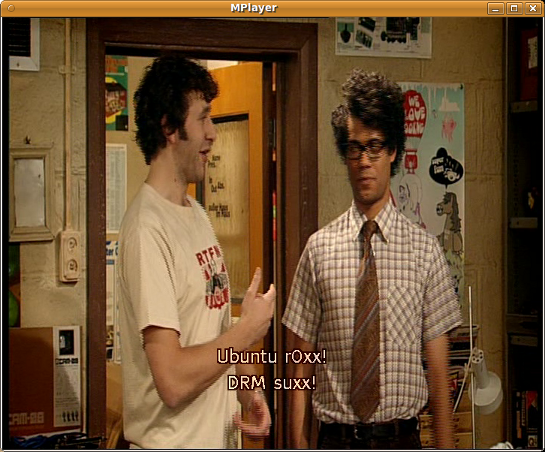 I just noticed that Ubuntu is mentioned in the l33t subtitles of The IT Crowd Season 1 Episode 1. It’s rather embarrassing since I bought the DVD when I was in London in July of 2007 and just now watched the whole episode with the subtitles on. Now that I had a pattern I wanted to test it out. Luckily, the ubuntu-bugpatterns branch includes a script called ‘test-local’ that allows one to test a local pattern against a specific bug number. ‘./test-local 416529′ confirmed that my pattern was good. Since we already have a ton of bugs reported that might match this pattern I wanted to check all the existing bug reports. There is another script called ‘search-bugs’, it was the best name I could come up with, that will take a package bug list and compare each bug against the pattern. 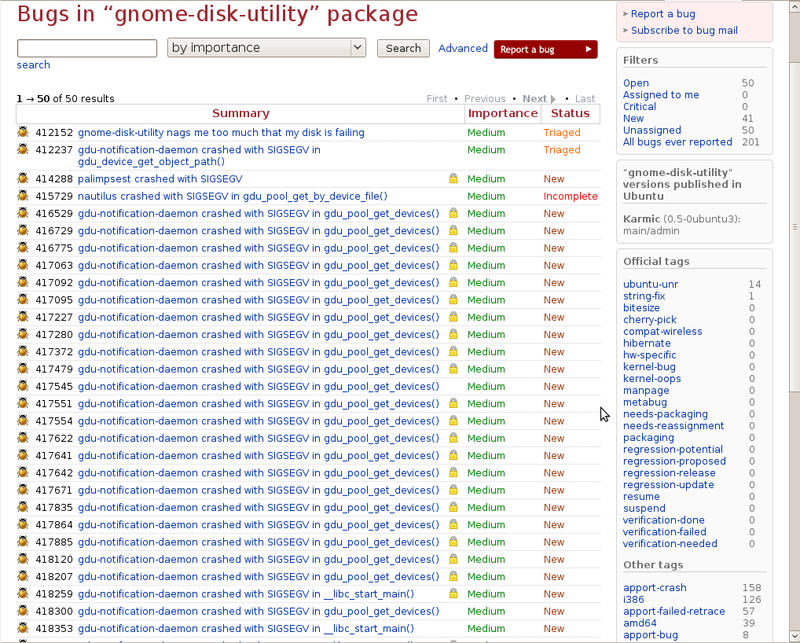 So indeed there are a fair number of duplicates in that bug list. 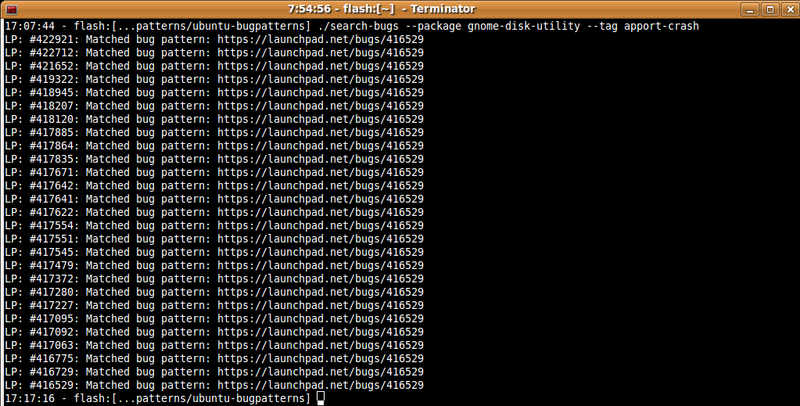 I then used the ‘is-duplicate’ script, which is part of the ubuntu-qa-tools bzr branch, to set all those bugs to Confirmed, add a comment and mark them as duplicates of 416529. Voila! We have a much cleaner bug list now.